Dreams do come true...I'm going to be an AUTHOR! Big News!!! I'm going to be an author! An AUTHOR!!! A few days ago I executed a contract with Emons Publishing, in Cologne, Germany, to author a tourism book about Atlanta! This is a dream come true for me, one I've dreamed of for most of my life. 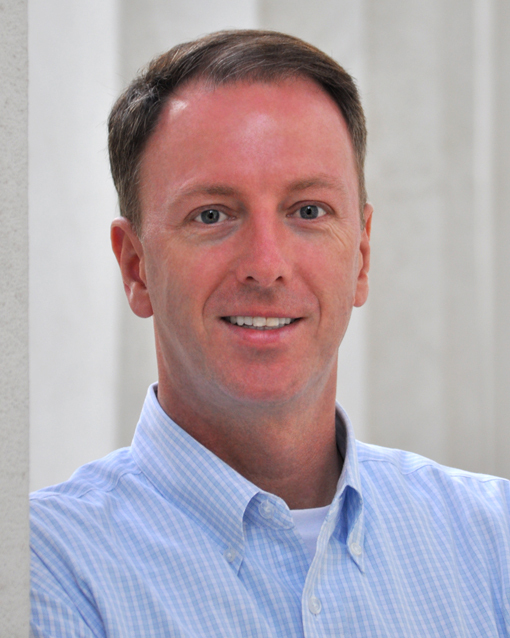 Travis Swann Taylor | Author "111 Places Atlanta"
Emons has books about cities all over the world and they've contracted with me--yes, me!--to author their tourism book about Atlanta! It's a perfect pairing, if I say so myself! Oh, and I'm the photographer for the book!!! Another dream come true! I'm so fortunate to be an author and photographer of a book! I'll officially be a paid author and a professional photographer! Yes, they're paying me to write the book and I'll receive royalties! And hopefully the book will be translated into other languages, for which I'll receive additional royalties. This series of books is written for locals (and experienced travelers) and is about places that even locals may not know about, or places that have stories that locals may not know about. It's about places that have unique stories or that are fascinating in some way that make them interesting to one who enjoys wanderlusting. I've had friends ask, "Why are you spending so much time blogging when you're not even making money for it?" THIS is exactly why. After a certain point, I knew my blog would lead to something more and becoming an author is the best thing I could have imagined happening as a result of blogging. Looking back, I learned more about Atlanta after blogging for one year than I had in the 15 years I lived here before moving back in 2010. In the beginning, the blog was an exercise to reacquaint myself with a changed Atlanta (I lived here 15 years, moved to DC for 9 and moved back in 2010). I was only going to blog for 1 year, but I was having so much fun I kept on doing it. Then it became part of who I am. And then I started meeting people who read my blog! I was hooked! I owe ton of gratitude to celebrity chef and cookbook author Virginia Willis. 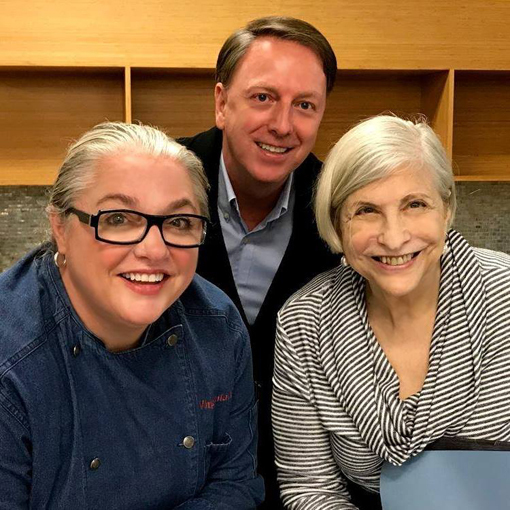 It was last November when at a cooking class at The Cook's Warehouse with Virginia Willis and Nathalie Dupree (I've been a fan of Virginia's for years, but this was the first time I met Nathalie) that this opportunity was presented to me. Emons had approached Chef Virginia about writing the book, but she did not have the time to write it, but she knew me and my blog "wanderlust ATLANTA" so she recommended me to Emons as the perfect candidate to write the book they wanted. Very soon after I virtually met Karen--the Editor in Chief for North America--and have worked with her (she's so AWESOME!) for more than 10 months to get to the point of the contract. You'll also see me using my full name--Travis Swann Taylor--because there's already a Travis S. Taylor in the area. He works in aerospace, as I did when I lived in DC, and he's a science-fiction author--I've been a sci-fi fan since watching Star Trek reruns when I was a kid. I very much admire the other Travis, thus the distinction of name for my book. The book title will be "111 Places in Atlanta That You Must Not Miss". It'll be in Emons' series of books that's written for "locals and experienced travelers". The series covers cities all over the world and they've tapped me for Atlanta!!! I'm so excited! The next step for the publisher is to approve the book cover, which I've requested to have a phoenix--Atlanta has risen from the ashes more than once--and to be in the colors of the flag of the City of Atlanta. We'll see. The book will also include places outside of City of Atlanta, within Metro Atlanta. I don't know yet just how far-reaching to book will go, but it will include a lot of places that even locals don't know about and aspects of known places that even locals don't know about. My blogging journey has always been to encourage locals to explore their own backyards, so this is such a perfect match! 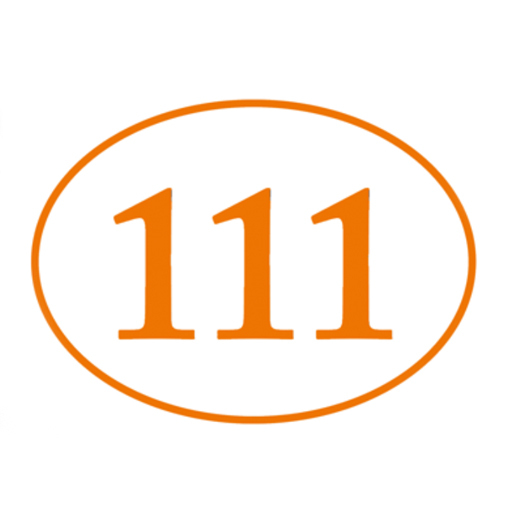 And follow 111 Places, especially if you're a traveler...or in my world, someone who enjoys the art of wanderlust, particularly in Atlanta. I want to thank my dear, dear friend Shelley Pedersen who passed away earlier this year. She lived with pancreatic cancer for more than two years...an incredibly brave woman! Shelley was the friend and colleague who introduced me to Les Dames d'Escoffier International - Atlanta Chapter to photograph their event marking Julia Child's 100th birthday at the Academy of Medicine in Midtown. After that, I was the Chapter's photographer for 4.5 years. A wonderful experience! I miss Shelley so much! I also want to thank my friend Barry Holland who has been with me for the greatest majority of my blogging experiences. He's also the one who made my soon-to-be author photo! He's one of those friends who doesn't judge, is totally supportive, and encourages one to chase their dreams until they come true. Thank you, Barry! I am so incredibly excited to share with everyone that I'm going to be an author! I have very aggressive deadlines now through next November, then the book goes to print and we'll have the launch parties in spring 2020, a number of which I'm already planning! Thank you, thank you, to all who have been fans and have supported "wanderlust ATLANTA" over the years. I'm so excited to bring you my very first book! Grecian Gyro took me back to Greece! Many of you know that I lived in Greece for more than two years, when I was 19-21, and speak of that time as some of the greatest fun I've ever had—who's not having the time of their life at 19, right? But I was doing that in Greece! 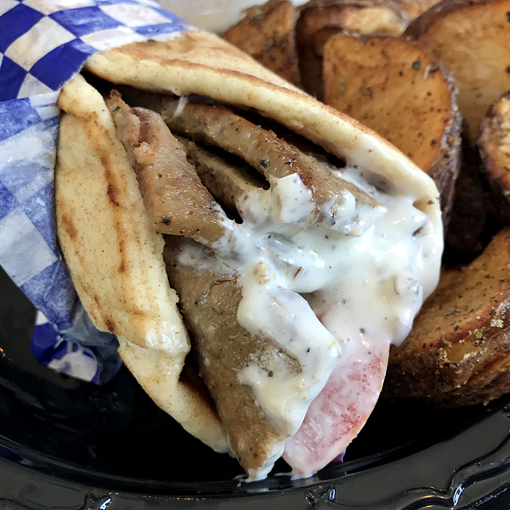 I jumped at the opportunity to interview owner and president of Grecian Gyro restaurants, George N. Koulouris, about the family business and their sixth and newest location, this one in Snellville, Georgia, just east of Atlanta, which opened this summer. Founder Nick Koulouris, father of George and Pano, opened the first Grecian Gyro restaurant in 1982 with the dream of sharing a taste of his culture from Kalamata, Greece, in a fast, convenient, and friendly format. 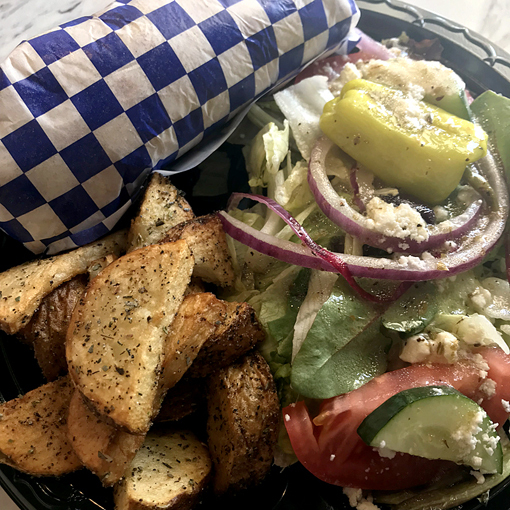 The menu at Grecian Gyro is comprised of classic Greek and Mediterranean specialties including handcrafted gyros and plates, fresh Greek salads, Grecian potatoes, spanakopita, hummus, and more. wanderlust ATLANTA: Please share with us a little about you. Where were you born and raised? How did you get into restaurants? What do you like most about being Greek? George: I am an Atlanta native, born and raised in this city. I attended Tucker High School and Oglethorpe University. My dad, Nick Koulouris, opened the first Grecian Gyro location in 1982 when I was 2 years old, so in essence I was raised in the restaurant. We say that I’ve worked there since I was old enough to hold a spatula. My dad’s favorite story to tell is about how I would walk behind him and steal the tomatoes as he added them to the salads in the morning. I worked in event marketing and my brother, Pano, worked in sales. In 2007, Pano found a closed down KFC in Tucker and convinced me to quit my day job and join him in a hair-brained scheme to expand the family restaurant. What I’ve always appreciated most about being Greek is the culture. The Greeks call it 'kefi', a feeling of joy and passion. Family gatherings, whether it’s a holiday, a birthday, or a weekend cookout are always a party, with music, great food, and a lot of fun. I almost always have hummus and olives in the fridge at home. I'd never had hummus before I went to Greece, but now it's a dish I love and will always enjoy...when it's good, that is. At Grecian Gyro it's great! Mind the olive on this dish (and others). It's not pitted, but that means it retains its incredible flavor! I love pepperoncini peppers, too, and often have a jar of them in the fridge, as well. I've never made traditional hummus and now I don't have to! I've now visited two locations of Grecian Gyro (can hardly wait to go again!) and the food quality and taste is consistently excellent. They use the freshest ingredients and produce, everything is chopped and prepared in-house, sauces are made from scratch, and many ingredients are locally sourced. wanderlust ATLANTA: What's the most popular dish on your menu and why do you think that is? George: Our most popular dish by far is our classic gyro and Grecian potatoes. I think they are most popular because they are the signature flavors of Grecian Gyro. My dad, Nick, created his own gyro sauce and spice blend and that magical combination has been the cornerstone of Grecian Gyro for the past 35+ years. Over the years this sauce has inspired a food trend in the city, and now Atlanta offers a style of gyro found nowhere else in the world. 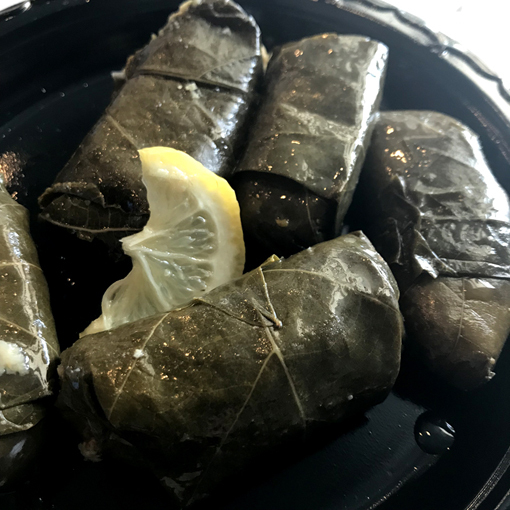 A single order of dolmades—stuffed grape leaves—is generous! And delicious. 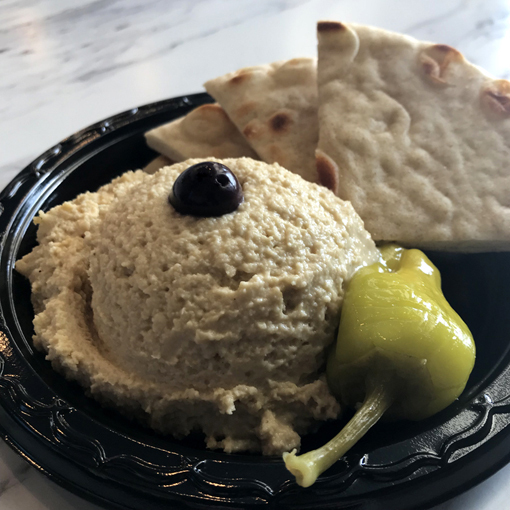 Wanting to sample a number of items, I ordered two appetizers—the hummus and the dolmades—and a Gyro Plate—the entrees on the plates can come open-faced or wrapped. People who know me know that I can put away the groceries (eat a lot! ), but the portions are so generous here that this order was enough for three meals! There are number of beverage options available. I opted for the iced tea. It's self-serve, so soda and tea refills are complimentary. Their tea is offered in two varieties—Unsweetened and "Southern Style", which if you're not Southern, that means "sweet tea". We do love our sweet tea! The restaurant staff was hospitable, courteous, and super-polite. They didn't know I was coming, so it was totally genuine. It's clean, tidy, and the posted health score is 100. I also noticed that they have multiple ServSafe certifications. You can dine here with confidence! wanderlust ATLANTA: What has been your proudest moment in one of your restaurants? George: Last year we opened the Tucker location for Thanksgiving and offered a free lunch to anyone in the neighborhood in need of a warm meal. I had several members of my team sacrifice time with their families to volunteer for that shift. Several people told us that was all they were going to eat that day. That is one of the greatest experiences since opening the restaurants. I think the proudest day for Grecian Gyro had to have been when we won "Atlanta’s Best Gyro" for the first time from Atlanta Magazine in the 90s. I’ll never forget the beaming pride my dad felt when his little 'hole-in-the-wall' restaurant received that accolade. It was truly a moment in which a young immigrant realized the American dream. I used to think I could eat potatoes every day, but now I know I could...if they were the Grecian potatoes at Grecian Gyro! I've never had potatoes quite like these. I dipped them in the house-made sauce for an extra punch...I could LIVE on these potatoes! You don't usually expect too much from a cafe salad, but the Greek Salad at Grecian Gyro totally delivers! When I lived in Greece, I almost always had an Islander Salad—the same Greek Salad we all know, but that one doesn't come with lettuce. The feta vinaigrette on Grecian Gyro's Greek Salad is amazing! And the freshness of the ingredients is stellar! Don't skip the Greek Salad people!!! wanderlust ATLANTA: What stories do you want your customers to tell after dining at Grecian Gyro? 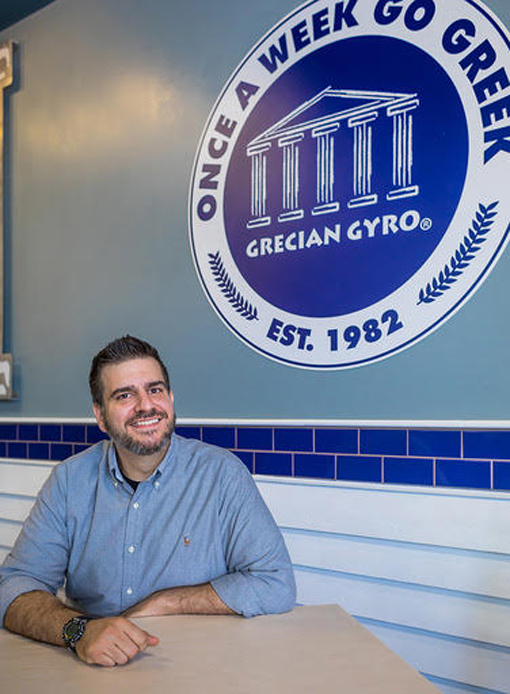 George: I always love when Grecian Gyro goes beyond just being another restaurant and becomes a part of someone’s life story. We have customers who came to Grecian Gyro on a first date in the 80s and now their adult children are still regulars. We have customers who always celebrate birthdays or special occasions at one of our restaurants. One couple got engaged on our patio and celebrate every Valentine’s Day at Grecian Gyro. One grandmother told me she loves to bring all her new grandchildren to the restaurant once they’re old enough to enjoy hummus. But, one of my favorite recent stories is about the couple that lied to their family about coming to the restaurant for dinner, but instead went to the airport and eloped. When they returned from their wedding they came to Grecian Gyro as part of their celebration (so it wouldn’t be a total lie). Greek music in the air, as I was sitting there enjoying my gyro, I was transported back to the cafes I ate in when living in Greece. The coming and going of other customers felt like I was dining alfresco in Plaka—the area where all the tourists go shopping for souvenirs, fine jewelry and to dine in the best cafes. 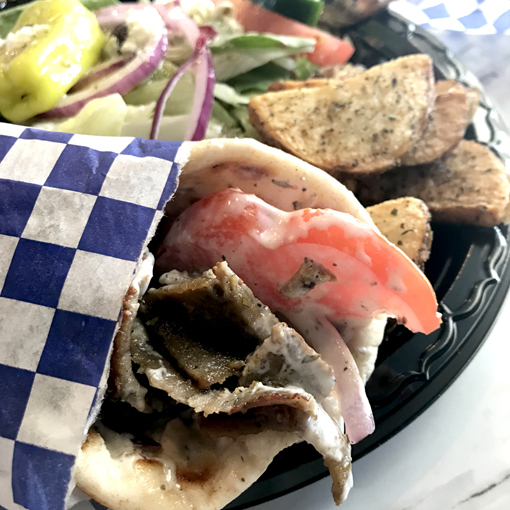 The flavors at Grecian Gyro are the most authentic I've had since living in Greece decades ago, and believe me, I've had many gyros since then. The gyro pictured below was the one that I had on my first visit, at the Tucker location, which I drowned in their house-made sauce immediately after I tasted it! When I lived in Greece, I'd almost always order extra tzatziki--love the stuff! The sauce at Grecian Gyro is different, but wholly delicious and just as addictive as any sauce I've ever had. I wonder...do they offer jars of this for sale? The hummus and olives in my fridge would certainly welcome the good company. wanderlust ATLANTA: I hope to visit Greece again soon. What city or site—other than the typical tourist destinations—is a must-visit? George: Last year I visited Greece and came across a gem of a town I’d never heard of before, Monemvasia. The entire town is hidden on the backside of a small island off the east coast of Peloponnesus by walls that remain from the medieval period. The hike to the top of the mountain to visit the Byzantine church that still stands is tough, but well worth the incredible view (especially at sunset). There is a beauty and energy like none other. And the restaurants on the island boast some hyper-localized cuisine unavailable anywhere else, with dishes influenced by the town's Venetian and Ottoman eras. You've heard stories about European's hospitality, even to perfect strangers. I experienced that first-hand when I lived there. My first Christmas there, a new friend invited me into his home and the family treated me like an honored guest, sharing their Christmas morning with me—they made me feel "at home" while nearly six thousands miles from where I grew up. I'll always remember their hospitality and generosity. Admirably, the Koulouris family’s philosophy is that good business starts with valuing culture, community, and team spirit. Each restaurant prioritizes contributions to its local community through ongoing efforts like sponsoring school teams, offering free holiday meals for those in need, and collecting supplies for humanitarian efforts. When you dine here, you're not only enjoying amazing food, you're supporting the local community! What a joy it was to be transported back to my late teens, early twenties when dining at Grecian Gyro. I do hope to return to Greece for a visit soon. In the meantime, I'll be hanging out at Grecian Gyro! Remember, "Once a Week, Go Greek"! Go to Grecian Gyro!